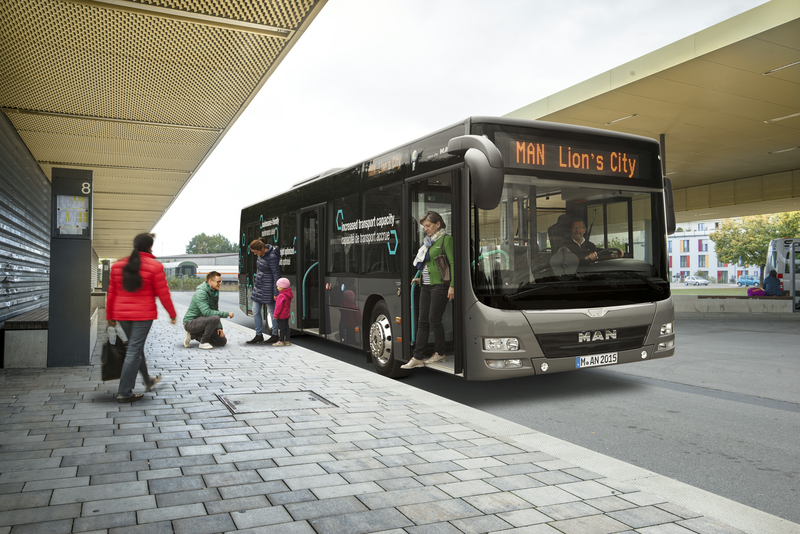 In a comparative measurement of two 12-metre city buses made in 2012 (EEV) and 2015 (Euro 6), the newer vehicle achieved fuel savings of over 10% under real-life operating conditions. This is impressive confirmation of the efficiency measures that have been continually implemented in recent years. The fuel savings were determined under the supervision of TÜV Süd, both under real conditions on a city street circuit in Munich as well as on 1 and 2 cycle artificial SORTs (Standardised On-Road Test). In addition to various weight-reducing measures and Euro 6 exhaust technology, there are also innovations such as Idle Shutdown, improved automatic transmission software as well as power-saving interior lighting and LED displays, which come into play here. Other key features such as ZF EcoLife Step 3 (software update), the two stage air compressor with an auto-idle fuel system and the optimised cooling also help to reduce fuel consumption. To ensure that the measurement results were comparable, both of the vehicles were precisely weighed and loaded to the prescribed SORT measuring weight, taking the weight-reducing measures in the current model of the city bus into account. Both of the buses were driven by professional drivers: The Munich public transport company MVV assisted in the test by providing two bus drivers who normally operate scheduled services and switched places halfway through the route. All of the test drives took place on a route of approx. 70 kilometres in total, with the air conditioning switched on to ensure it was under real-life conditions. The Euro 6 bus yielded a fuel consumption advantage of 8% on the artificial SORT cycle compared to the EEV bus made in 2012. The city circuit in Munich, which was made in mixed traffic (and thus not on a separate bus lane), made the fuel consumption advantage even clearer, with the Euro 6 bus using 11.4% less fuel than its EEV predecessor. Applied to typical inner-city traffic in European cities, this amounts to potential savings of 10.2%. The efficiency measures pay off in hard cash savings for customers, with fuel costs accounting for a significant proportion of life cycle costs.